Tim is CEO of Redmond Growth Initiatives (RGI), an organization designed to help you grow your profits, grow your business and grow your life through Tim’s innovative coaching process. With his extensive business experience, Tim and his team will bring you through a process to significantly develop your leadership, planning, decision-making, team building skills. He is the accountability partner who will keep you focused on your highest and best use. You and your business will grow, cash flow increase, and your business will be a powerful venue to live your purpose. Tim’s coaching expertise is birthed from a combination of very successful business start-ups as well as his amazing life adventures. His life follows a series of overcoming huge challenges. He is one of eleven children and struggled for years to overcome a handicap from birth. As a teenager, he was in an automobile accident which took the life of his brother as Tim fought on the brink of death, having to learn how to read and write all over again. After working his way through college, he earned his CPA and joined Pricewaterhouse Coopers, one of the world’s largest consulting firms. He then joined a small start-up software company. Over the course of 15 years, Tim helped build it from 2 to over 400 employees, becoming one of the top tax and accounting software companies in America generating over 100 million in pre-tax profits with the sale to a Fortune 1000 company. Tim then became actively involved in several other start-ups as well as real-estate investments, coaching, speaking and writing. He has authored the book, Power to Create, which redefines wealth within the framework of conquering obstacles and serving others in significant ways. Through his experience of building multi-million dollar businesses, coaching top leaders in the business process as well as his years of intense study of wealth and business growth principles, Tim has emerged to become America’s Top Business Growth Coach. 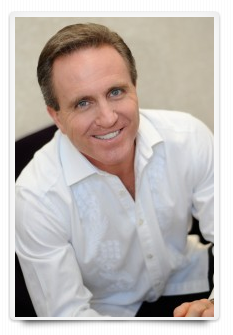 Based on the powerful results he achieves, Tim has also become an in-demand keynote speaker and seminar trainer. He offers a “get big results in a short amount of time” approach to executive coaching, team development and training, conference key notes and intensive leadership and business workshops. Tim is also President of Redmond Leadership Institute, a non-profit organization that works in developing countries to reach, restore and release leaders to tap their full potential in their organizations, communities and countries. He works with churches, educational and government leaders. He travels extensively addressing thousands all over the world each year. He has also worked with Dr. John Maxwell and the Equip team to train hundreds of leaders in Bogota, Colombia. A gifted author and speaker, Tim has published a multi-media curriculum, books and numerous training CD seminars designed to strengthen and expand the leadership and wealth creation capacities of leaders and teams worldwide. He is quoted by a number of bestselling authors, including John Maxwell’s 21 Irrefutable Laws of Leadership. He has been married to Sandra Redmond for 25 adventurous years and is honored to raise 4 above-average children . . . Matthew, Robert, Joshua and Andrea Joy. After 5 years of 0% growth followed by a year of negative growth, Tim’s careful counsel increased our business by 43% in the first year, even with tough economic challenges. Then, we grew 94% the following year. “I am fascinated with the process of growing businesses and organizations. I love working with CEOs, business owners and other leaders to expand their thinking, vision, skills, and the capacity to build high performance teams around profitable ideas,” he says. Tim’s greatest ability is identifying and removing the core constraint that hinders progress and creating key drivers that lead to significant growth. He works closely with the CEO or business owner and their team to incorporate the needed changes smoothly and effectively. Based on the powerful results he achieves, Tim has become an in-demand business and conference speaker internationally, offering everything from one-on-one training to conference keynotes to multi-day intensive business workshops. Tim works just as passionately with pastors and churches, empowering the congregation to reach their communities more effectively, empower their marketplace leaders, and fund the vision. Through the Redmond Leadership Institute, Tim frequently works in developing countries to reach, restore and release leaders to tap the unlimited potential in their organizations, communities and countries. He travels extensively addressing thousands of leaders all over the world each year. He has also worked with Dr. John Maxwell and the Equip team to train hundreds of leaders in Bogota, Colombia. Tim graduated with a Bachelor of Science degree (with Honors) in Accounting and earned his Certified Public Accounting (CPA) status. He also combines years of intense study of Biblical growth principles with practical strategies and counsel to accelerate businesses and individuals toward growth. A gifted author and speaker, Tim has published a multi-media curriculum, books and numerous training CD seminars designed to strengthen and expand the leadership and wealth creation capacities of leaders and teams worldwide. Tim is happily married to Sandy and has 4 young “leaders in training” (Matthew, Robert, Joshua, and Andrea).